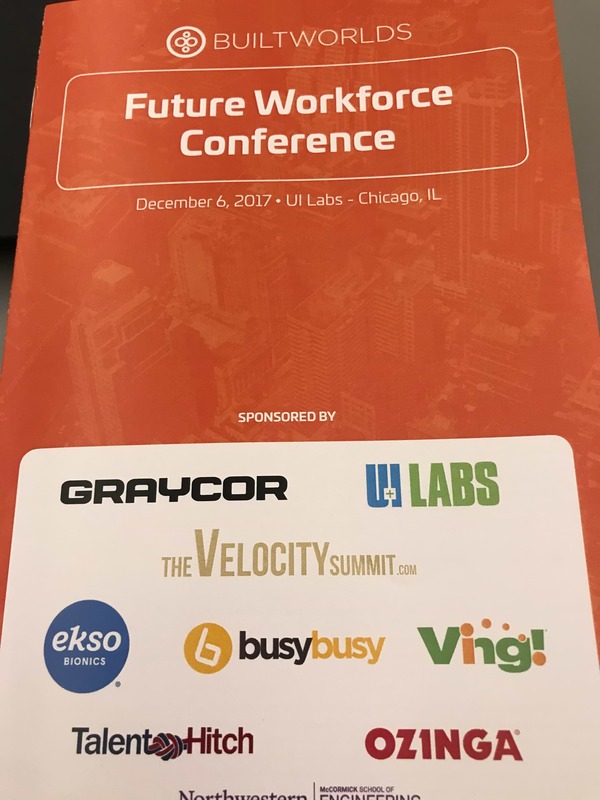 I had the opportunity to attend a conference this week where the topic was how the Built Industry including contractors and construction companies are going to handle workforce needs in the future. We all know that there is a shortage of great people in the contracting industry and that the statistics show a decreasing number of millennials being interested in going into the industry. The question is what we can do to arrest this trend and how we can win more than our fair share of the best people. 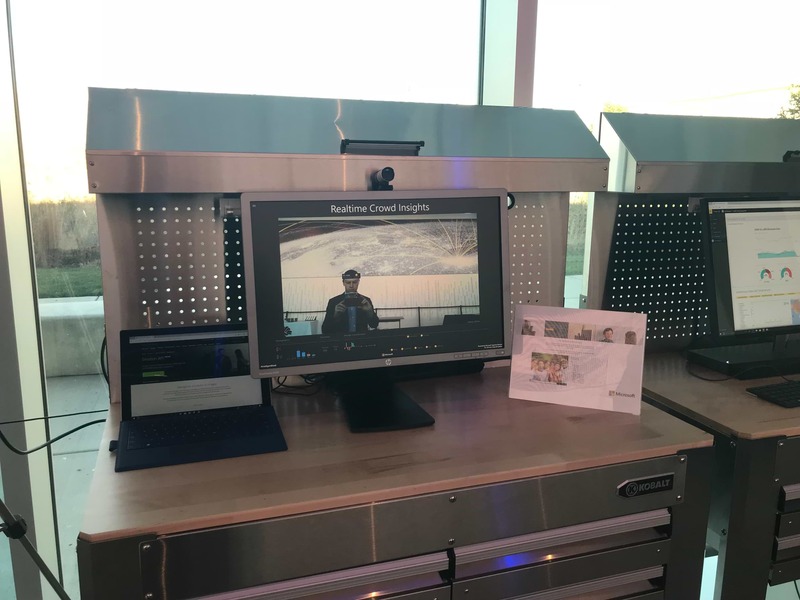 Top challenge facing the Built Industry is getting the word out about the evolution of our industry – it is not as stodgy as Millennials and others think it is. Today’s workforce doesn’t always come to the built/construction industry with skills and the world is evolving faster, so lifelong learning is the most important skill. Training and education for employees isn’t an expense, it is an investment. Times are not tough right now in our space, times are 90 miles an hour right now so there is no excuse not to invest in our talent. Companies with 30% of executives that are women have 15% increase in profits according a recent study. If you’re not diverse, you’re losing money! Diverse teams (age, race, gender diversity) are 35% more productive according to a recent study. Every company is a tech company going forward period. Technology is going to displace many workers and completely change how we build things. The conversations at these events aren’t optional anymore. Going to conferences isn’t a nice thing to do if you have time (which nobody does) but a necessary part of being the president, CEO or owner of a business. If you don’t go now and start thinking about how you’re going to manage change in your business, I believe you’re going to have a LOT of time to think about it in 3-10 years when you’re left behind and no longer getting your fair share of profitable projects. 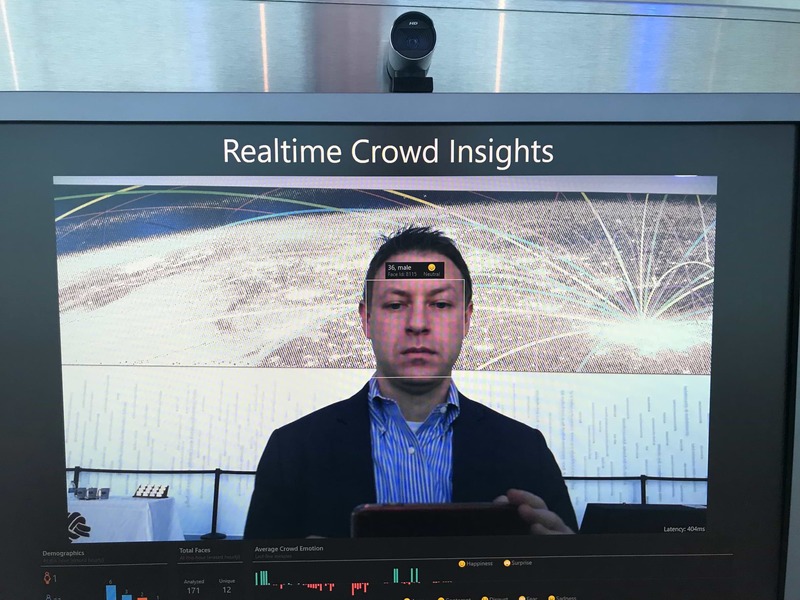 I was walking thru the sponsor hall and came across a “realtime crowd insights setup.” I don’t know if you can see this in the photo, but the camera looked at my face and instantly guessed my age, gender and mood. Now I understand that gender is probably pretty easy for artificial intelligence to determine and maybe even mood (happy, neutral, sad, etc) but age? Come on! It pegged my age from facial recognition while I was walking past. 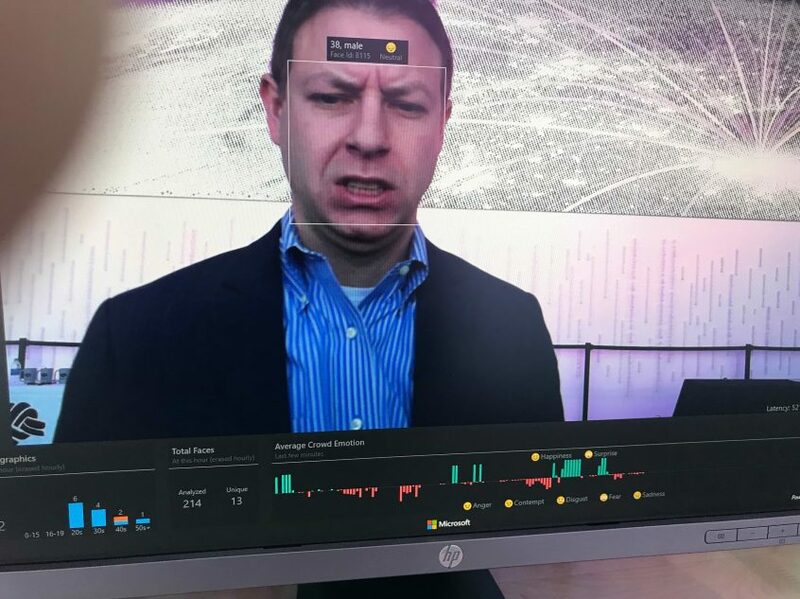 Imagine the implications for how this software could be used… At the bottom you’ll see it is collecting aggregate stats of everyone who walks past. How can you think to use this in your business? Call me chicken little, but even if I’m wrong, you’ll still learn a lot, grow your business (top and bottom line) and meet great contacts by attending more industry events. 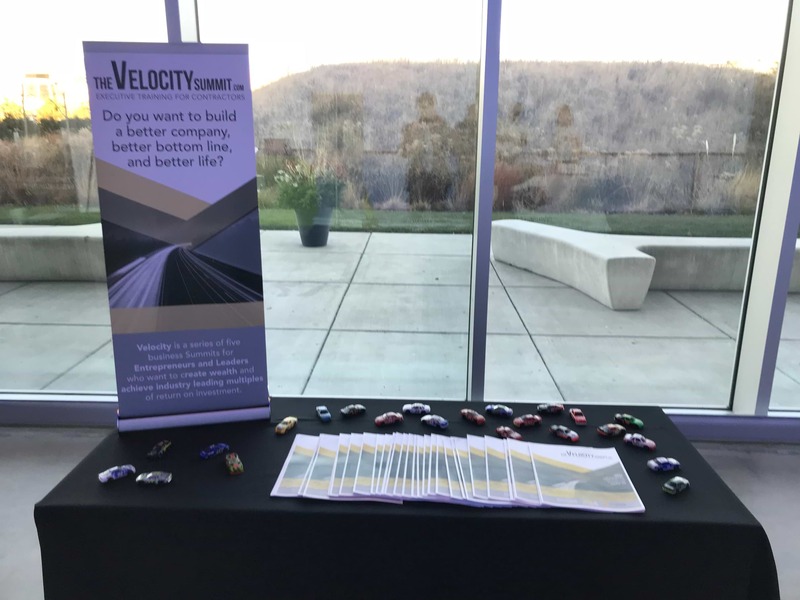 Note: Jonathan Slain works with businesses that want to grow (exponentially) thru implementing the Entrepreneurial Operating System “Traction.” You can contact him by filling out an application at https://autobahnconsultants.com/forms/traction-application/ or emailing him at [email protected]. Be careful… Your business just might grow and make a lot of money if you contact him!